Remember great sound? We never forgot. 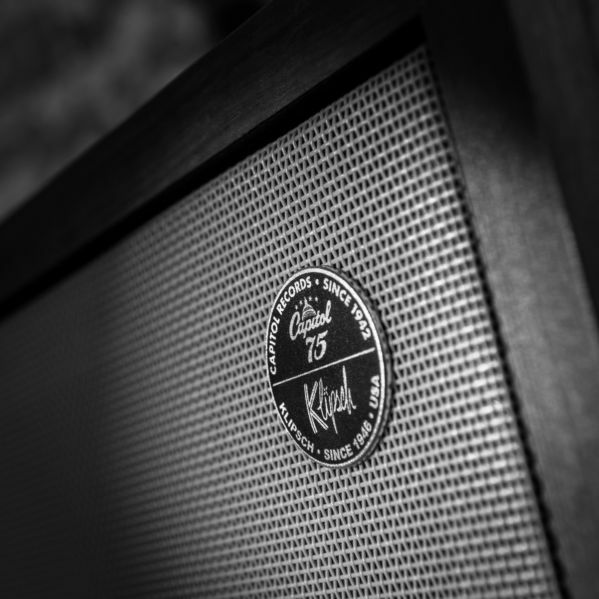 And in a sea of plastic, poorly made products, Klipsch aims to bring back premium, hand selected materials complemented with superior acoustic performance. 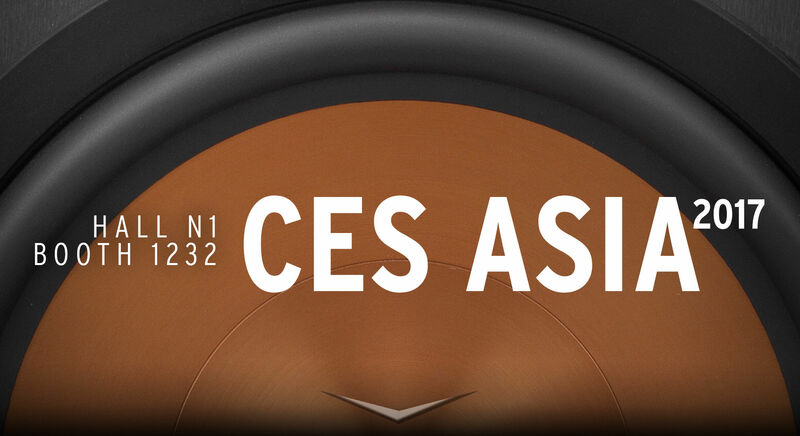 Check out the all-new Klipsch speakers, headphones and audio technology that's debuting at CES Asia 2017. 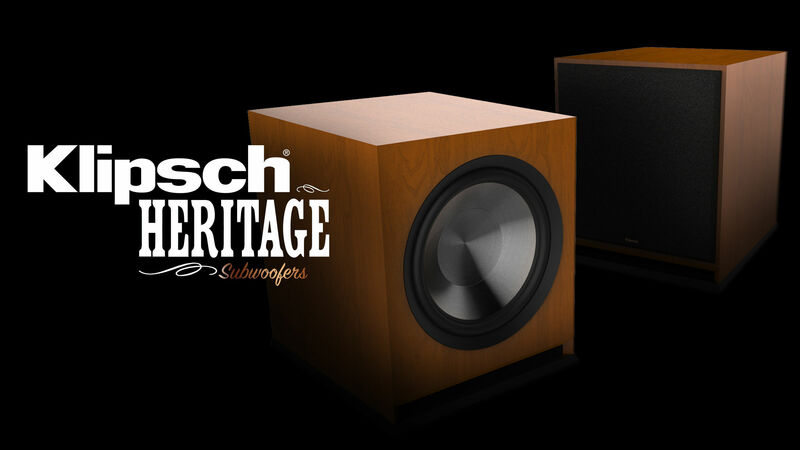 Back by popular demand, the Klipsch Forté III delivers classic Heritage performance with new retro-cool styling. With cabinetry handmade in Hope, AR, this sonic marvel packs a punch while providing clear, multi-dimensional sound. Forté’s narrow profile and clean lines harbor a wealth of advanced acoustic technology. As the first truly full-range speaker in the Heritage lineup, audiophiles will be impressed by Forté’s highly-efficient horn loaded tweeter and updated larger mid-range driver – both with new titanium diaphragms for a smoother response. 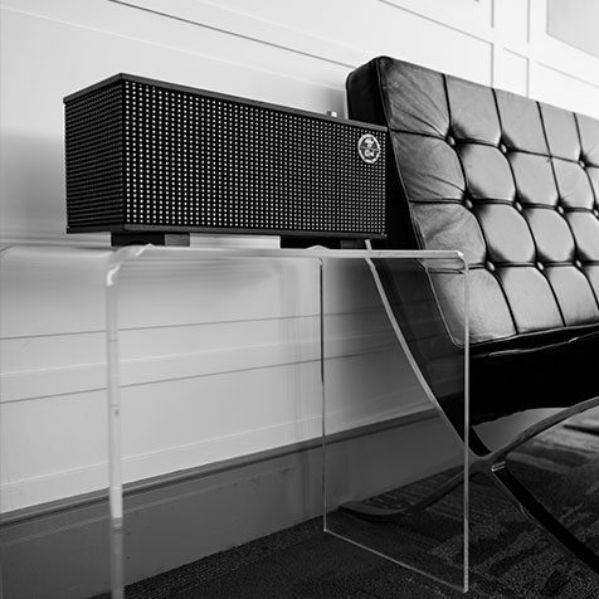 The slim design houses a powerful 12” woofer and 15” passive radiator for jaw-dropping, tight, enveloping bass. 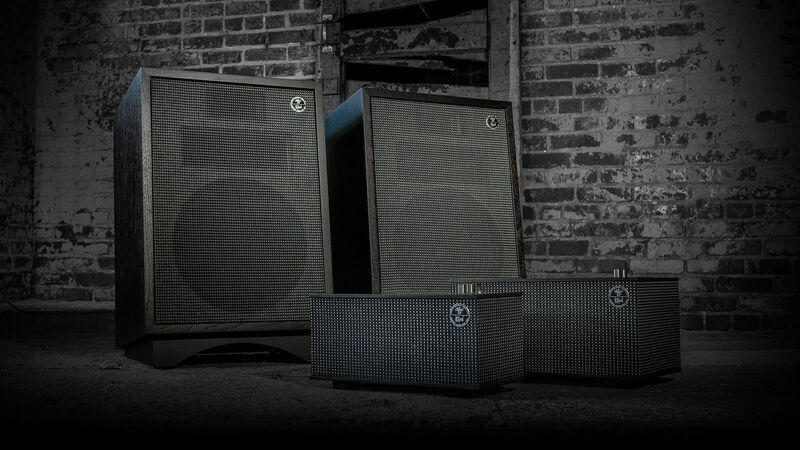 The world has come to know our flagship RF-7 and RC-64 for their quality build, fine materials and staggering acoustics. Updated with new aesthetics and styling, the RF-7 III and RC-64 III take the experience even further. Additionally, each has been fitted with a new high frequency horn for enhanced detail and smooth sound. 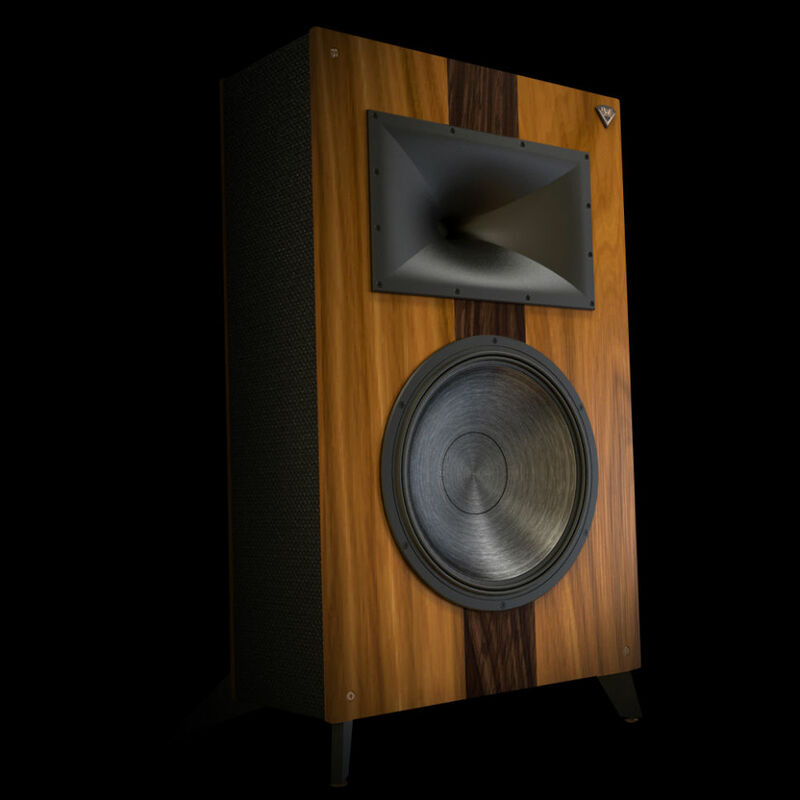 Premium furniture-grade wood veneer adorns these masterpieces, proudly hand-made in the USA with domestic and imported components by craftsmen in Hope, AR - where we have been creating legendary loudspeakers for over 70 years. Klipsch leverages our longstanding relationship as a Dolby® development partner in the cinema space to provide the advanced technology needed to create the Dolby® Atmos experience. 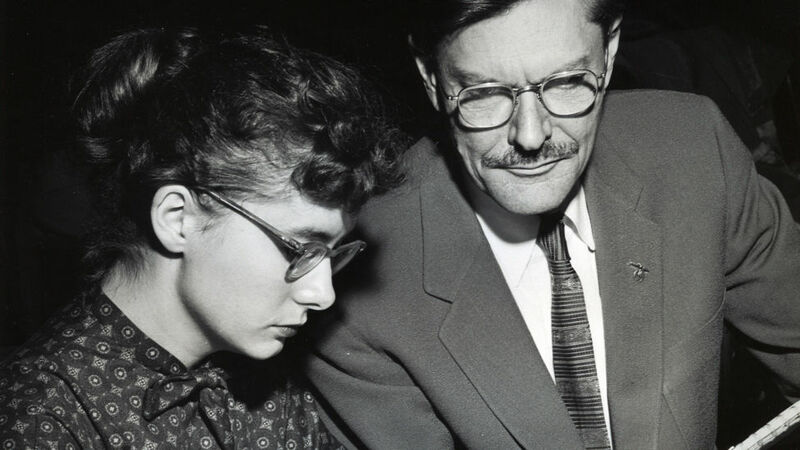 Our acclaimed controlled directivity, perfected since 1946, is the obvious choice for producing the Dolby Atmos overhead, life-like presence. 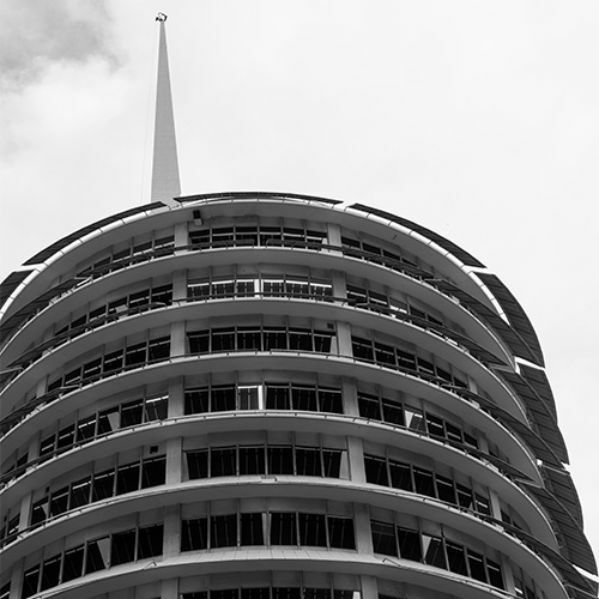 Our Tractrix® horn technology provides the sensitivity and directivity to meet the strict Dolby® requirements for its Atmos-certified elevation speakers. 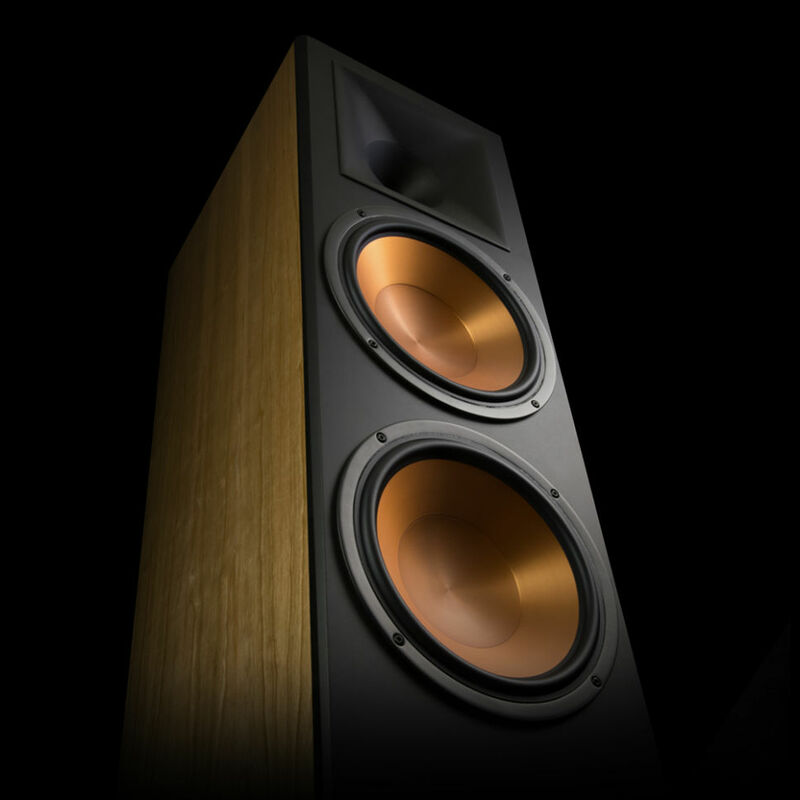 Our new Reference Dolby® Atmos-enabled tower speakers with integrated height channel and elevation speakers provide the same legendary power, detail and emotion that Klipsch is known for - while delivering an incredibly immersive experience. 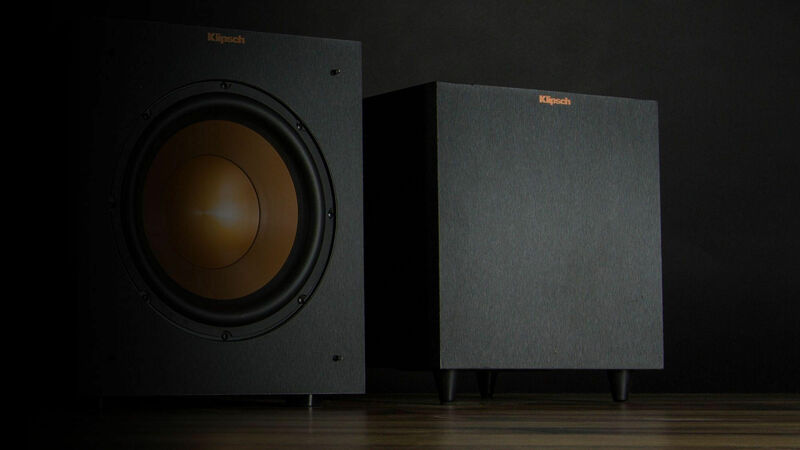 A new premium finish is available for Klipsch Reference Premiere loudspeakers. Employing a labor intensive three-coat process, the Piano Black finish creates a mirror-like, high gloss reflection. A Limited Edition Klipsch logo badge and branded cleaning cloth complete the elevated experience. Shipped in a 100% cotton product bag to ensure these brilliant speakers arrive ready to impress. Hear your movies and music like never before. 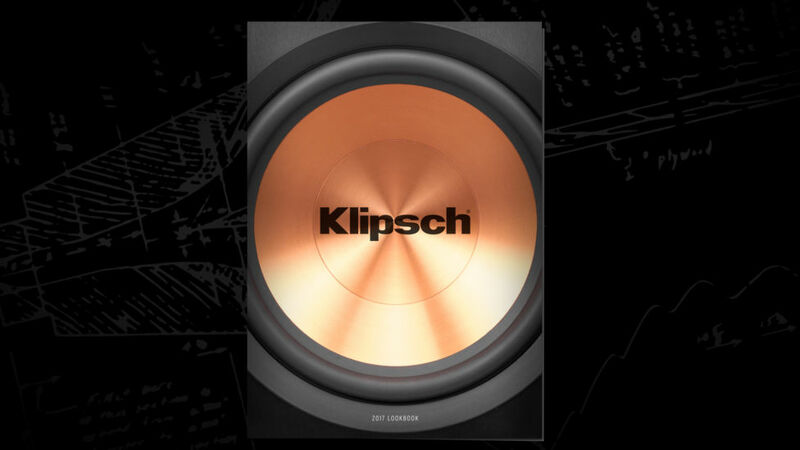 Get legendary Klipsch sound in a compact, take-home package. 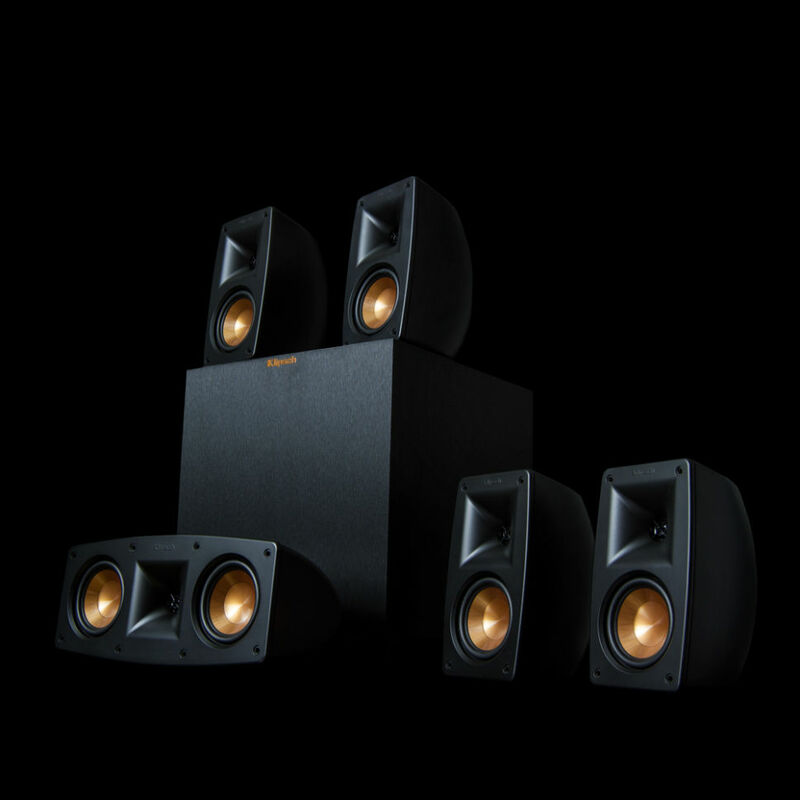 The all-in-one Klipsch Theater Pack is a high-performance speaker system that brings cinematic 5-channel surround sound plus a convenient wireless high-powered subwoofer right into your living room. Featuring true Reference acoustic technology - IMG woofers and Tractrix® horn-loaded aluminum LTS tweeters – the satellite speakers deliver crisp, detailed highs and dynamic midrange for crystal clear dialogue and excellent surround localization. The 8” down-firing wireless subwoofer is easy to set up and allows for freedom of placement anywhere in the room for smooth, deep bass. 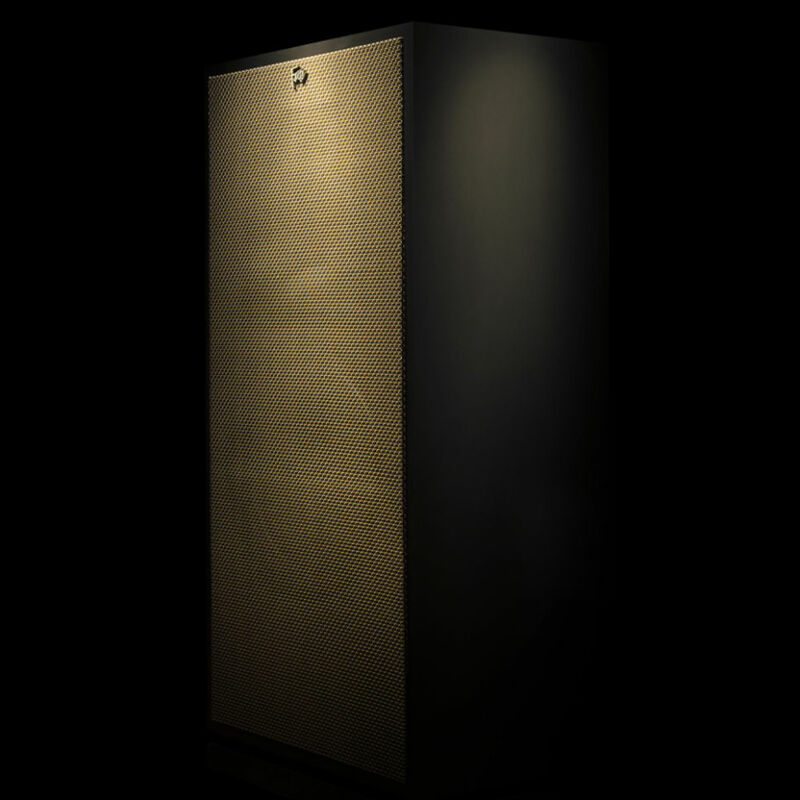 The all new 300 Series high performance, app-controlled subwoofers boast exceptional low frequency extension and output from extremely compact cabinets. With high powered digital amplifiers, true Cerametallic™ active woofers and side-firing passives, the 300 Series subwoofers outperform their size. The piano gloss painted finish and high definition wireless connectivity (with optional transmitter) allow them to live anywhere in the room, with any décor. 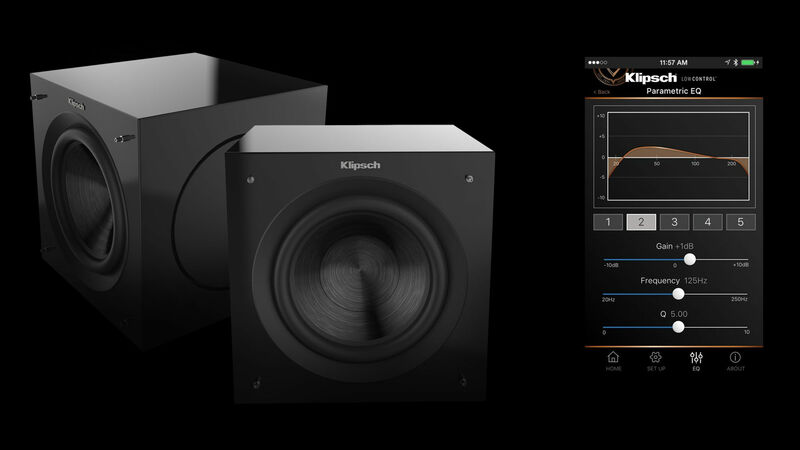 The free Klipsch LowControl™ app for iOS and Android provides for custom tuning and automatic room correction, making the 300 Series subwoofers some of the most elegant, high performance, and flexible subwoofers on the market. 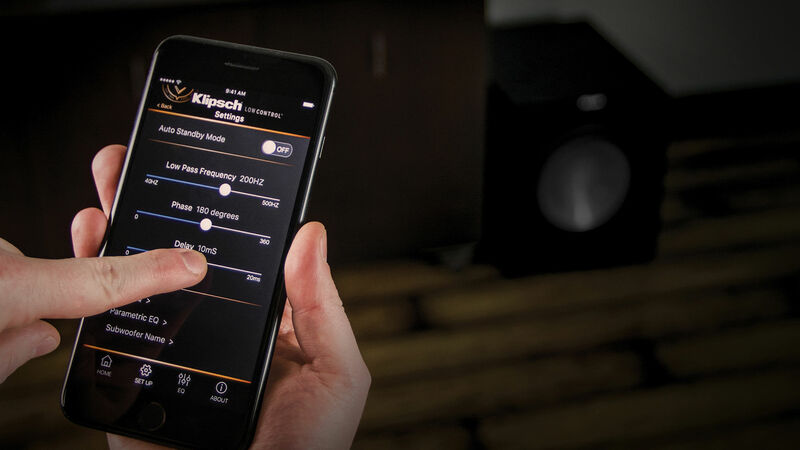 Complete with volume, phase, high pass and EQ customization – new Klipsch subwoofers are controlled via the easy-to-use Klipsch LowControl™ app for iPhone® and Android™. Featuring Night, Cinema and Music listening modes – plus Automatic Room Correct (ARC) using your device’s microphone – our legendary subs just got even better. 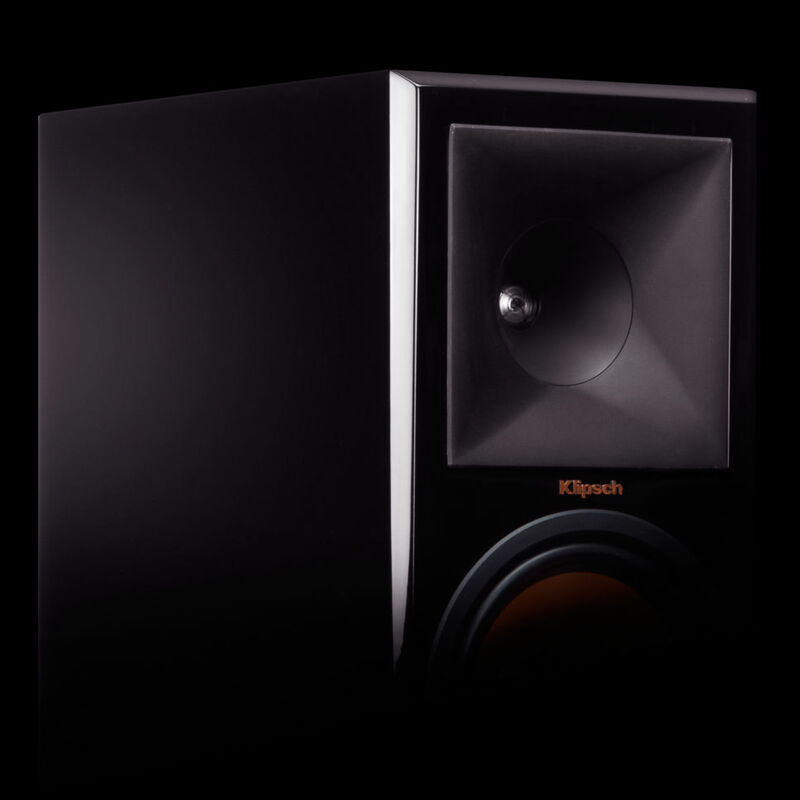 A high performance sub that can be used with the Heritage and RF-7 families of products, the Klipsch Heritage subwoofer is designed with a 15” front-firing woofer, Reference Premiere styling and a 500 watt amplifier with on-board DSP. BLE App support allows for a plethora of parameter controls, including volume, low-pass filter, phase control, delay, parametric EQ and automated room correction. Available in Cherry, American Walnut, and Black Ash. Get the bass you need from a humble design, the R-8SW subwoofer’s compact cabinet allows for discrete, flexible placement without sacrificing detailed low frequencies needed for a smaller room. 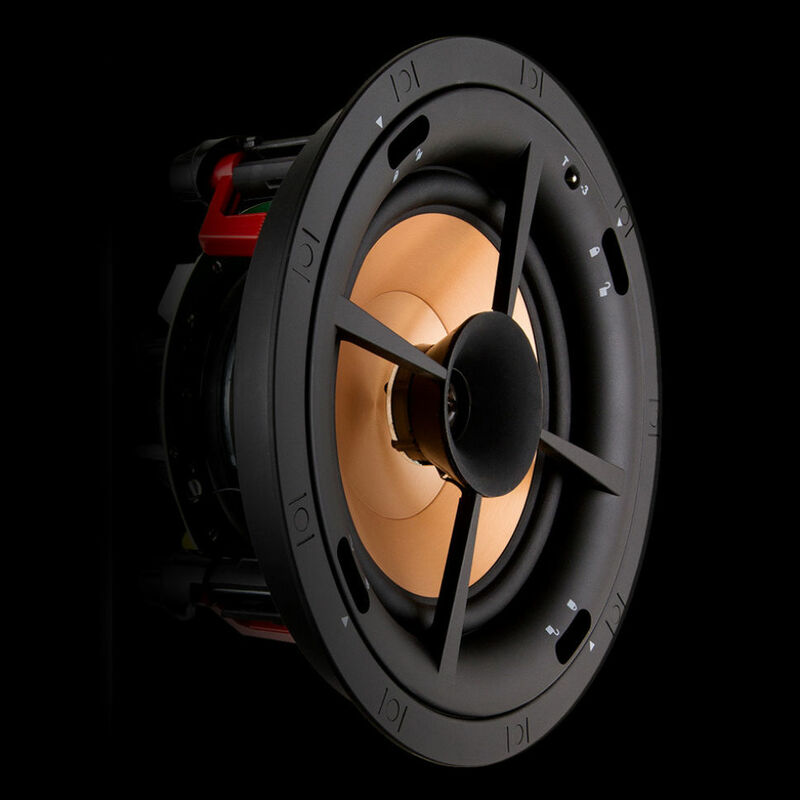 The 8” down-firing copper injection-molded graphite woofer is powered by an all-digital 150 watt amplifier to deliver abundant power with efficiency and accuracy. 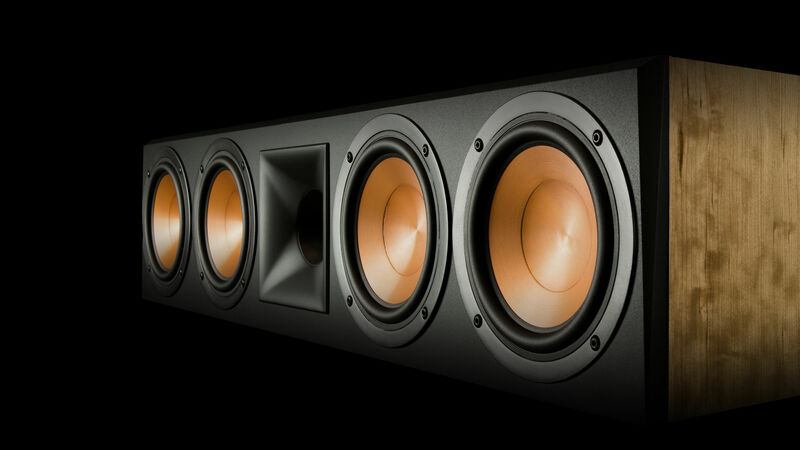 Experience the dynamic, powerful sound of Klipsch Reference Premiere in a modern on-wall package. Featuring a matte black finish and ultra-slim cabinets, these highly efficient speakers complement the minimal design aesthetic of today’s stylish interiors. The 3.5” long-throw Cerametallic™ woofers and Tractrix® horn-loaded 1” Titanium LTS tweeters combine to deliver true Reference Premiere acoustics. 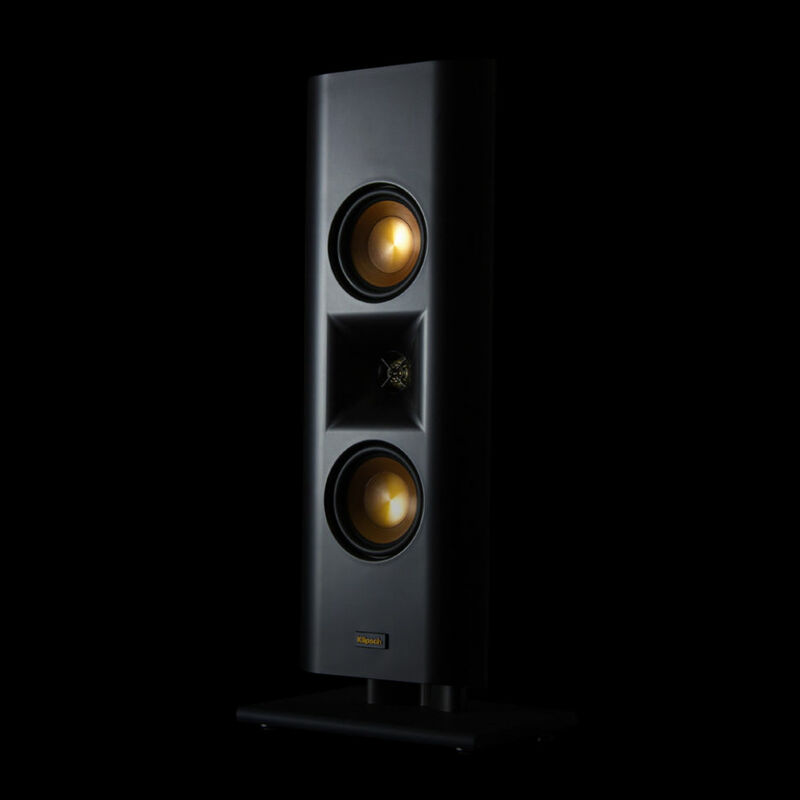 With 4-way keyhole mounts, robust bases, and rotating logos, the Reference Premiere Designer On- Wall series is ideal for tabletop and on-wall mounting (both vertically and horizontally,) providing extreme flexibility in placement. Single, dual and quad-woofer LCR models, plus a 42” passive LCR sound bar, can be combined to suit any size room. No receiver required. Just add vinyl. 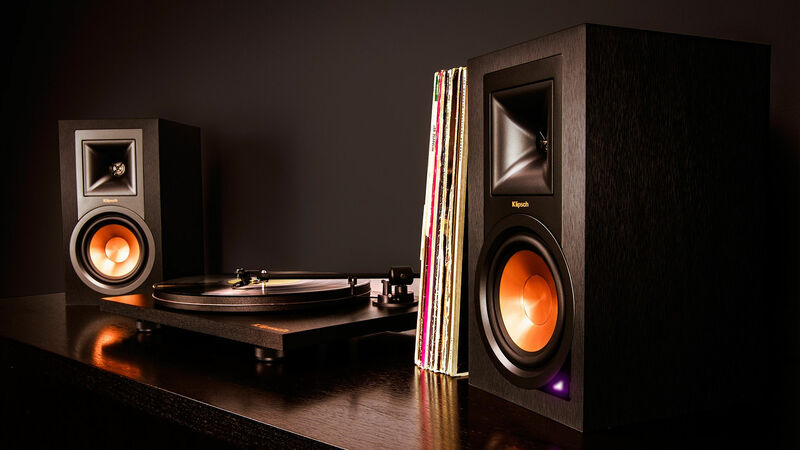 The R-15PM powered monitors with built-in phono preamp are perfectly matched to the custom Klipsch / Pro-Ject Primary turntable to deliver room-filling sound without the hassle of setting up stacks of equipment. Pro-Ject’s special edition Klipsch Primary turntable is expertly handcrafted to extract the every last detail from the vinyl grooves of your favorite LPs. Packing a low vibration synchronous AC motor, a perfectly matched 8.6” aluminum tonearm, and an audiophile-grade, low-distortion Ortofon OM 5e magnetic cartridge, the Pro-Ject Primary and R-15PM powered monitors are a match made in heaven. Make your TV viewing a truly cinematic experience with the Klipsch Reference Theater Bar. 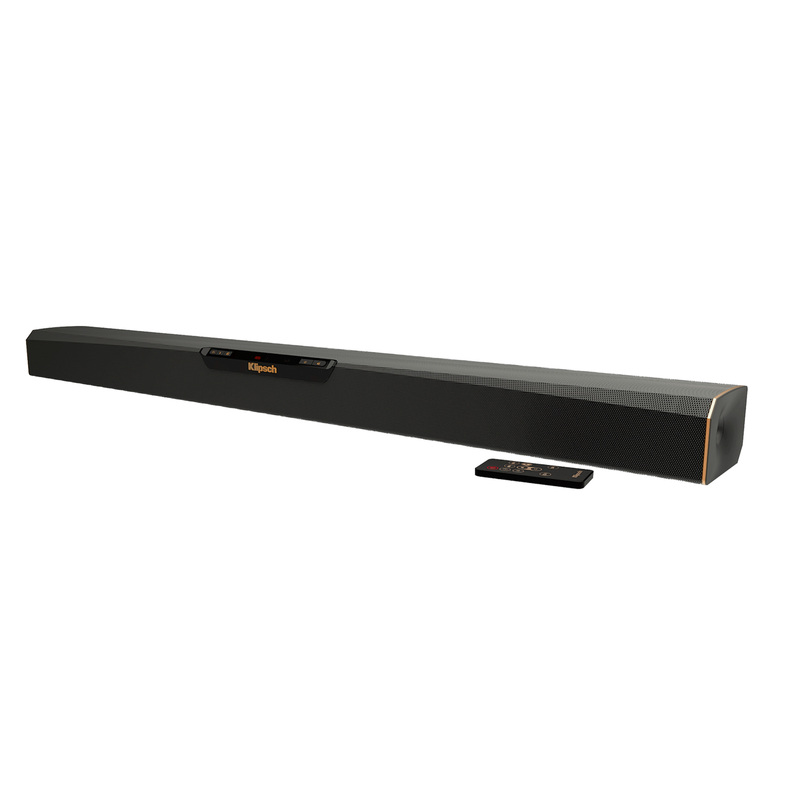 Featuring Dolby Atmos® decoding and a wealth of modes and features, this gorgeous bar delivers legendary Klipsch sound with power and performance head and shoulders above traditional sound bars. A look under the hood reveals our famous horn-loaded technology for distortion-free sound and wide dynamic range to unleash all the clarity and detail movies have to offer. A 10” wireless sub lets you feel the impact on the screen with maximum flexibility in placement. Suitable for any TV size, the Klipsch Theater Bar features four HDMI inputs and one HDMI output for 4K Ultra HD video pass through. Sleek styling and copper accents round out the total packcage for a bar that looks as good as it sounds. 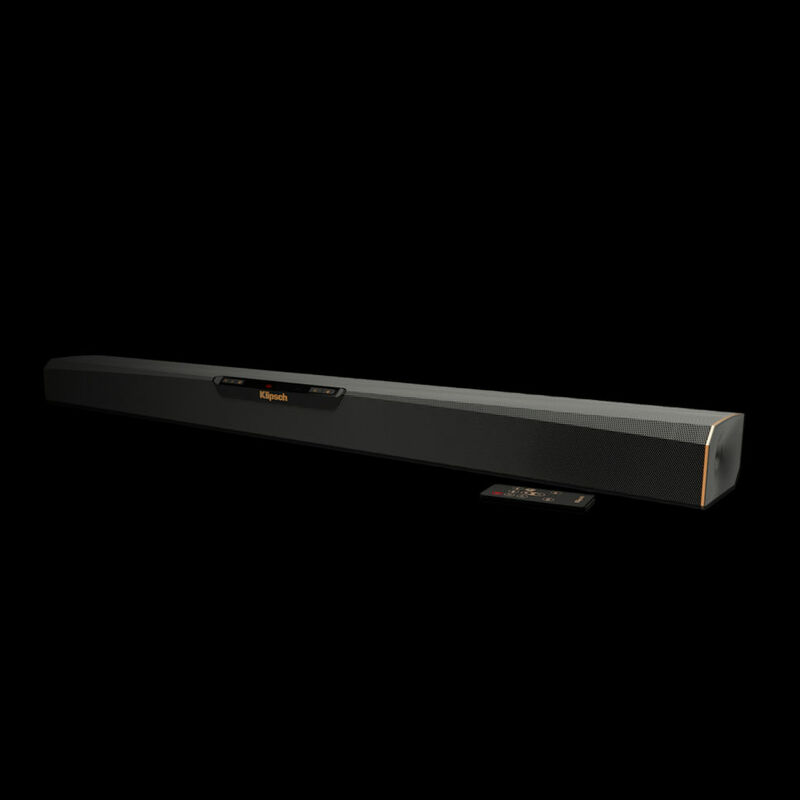 Filling a need for great sound when a separate subwoofer isn’t an option, the RSB-3 All-In-One sound bar delivers high performance audio with a small footprint. 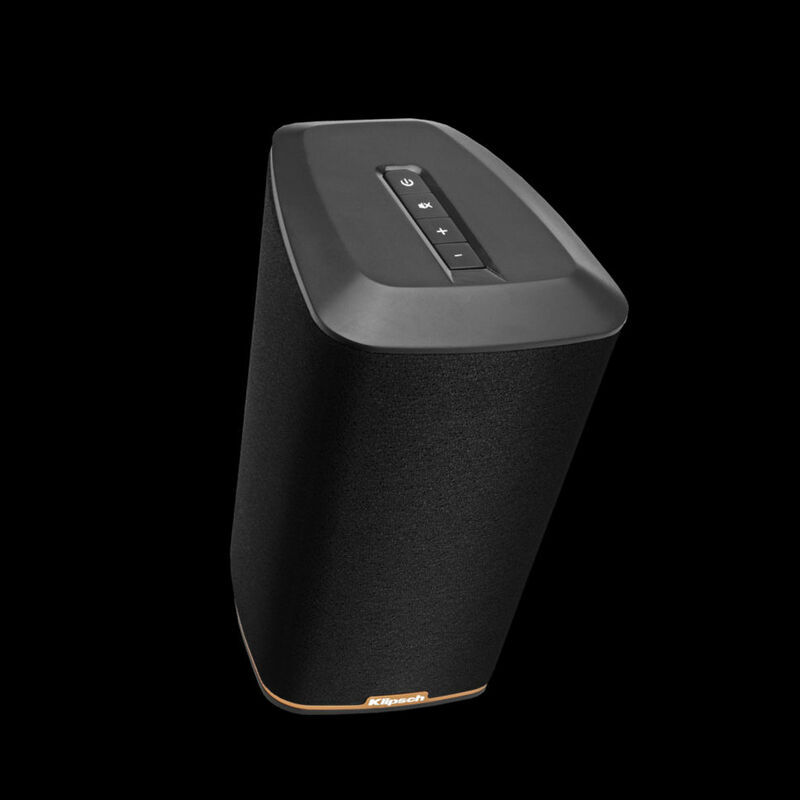 The integrated subwoofer, virtual surround mode and dialogue enhancement mode ensure an immersive experience for movies and music. Includes Bluetooth®, optical and analog inputs - plus a wireless remote. 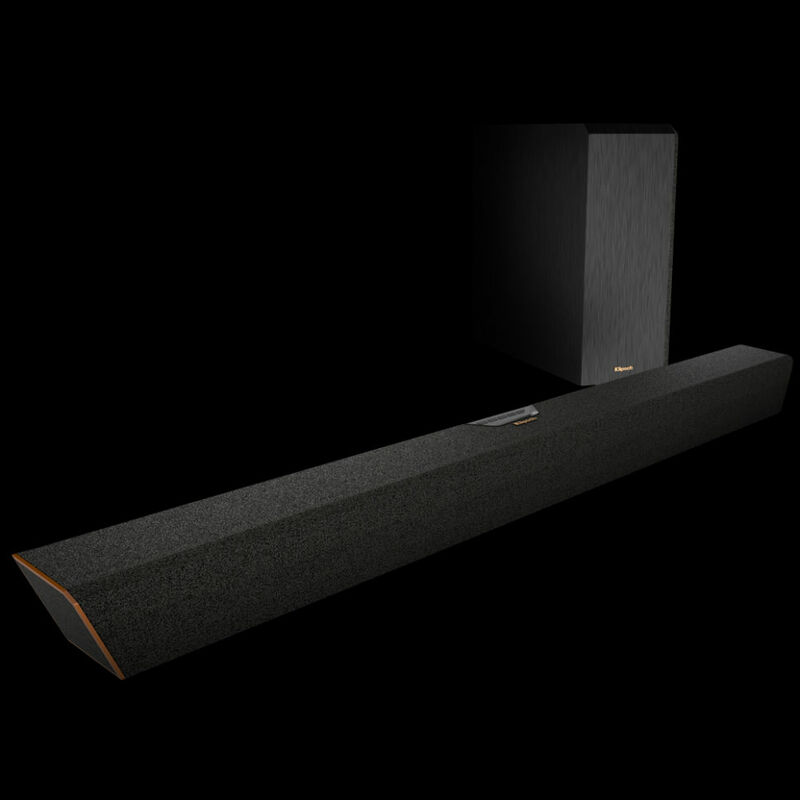 Featuring HDMI, 4K Ultra HD pass-through and our patented Tractrix® horns, the new line of Klipsch Reference sound bars with wireless subwoofers deliver powerful, room-filling sound for your movies and music. Flexible mounting options deliver an easy solution for upgrading your TV viewing experience and the wireless sub can be placed anywhere in the room for maximum flexibility. 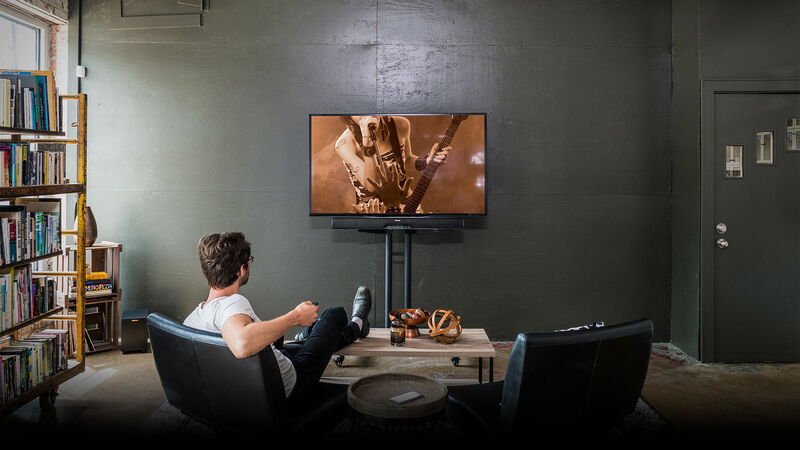 Select sound bars have Play-Fi® technology for Wireless Multi-Room capability – add other Klipsch Stream series products to rock your entire house. 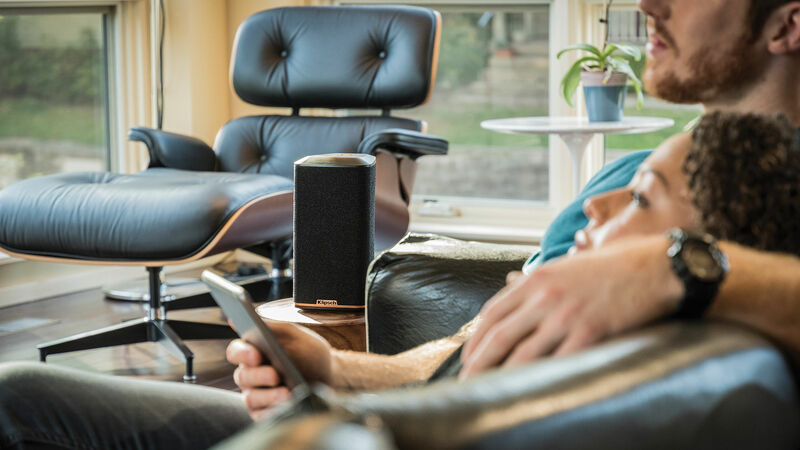 The new Klipsch Stream Wireless Multi-Room ecosystem is the result of our decades-long obsession with pushing technology forward and our unending commitment to the best possible audio reproduction. 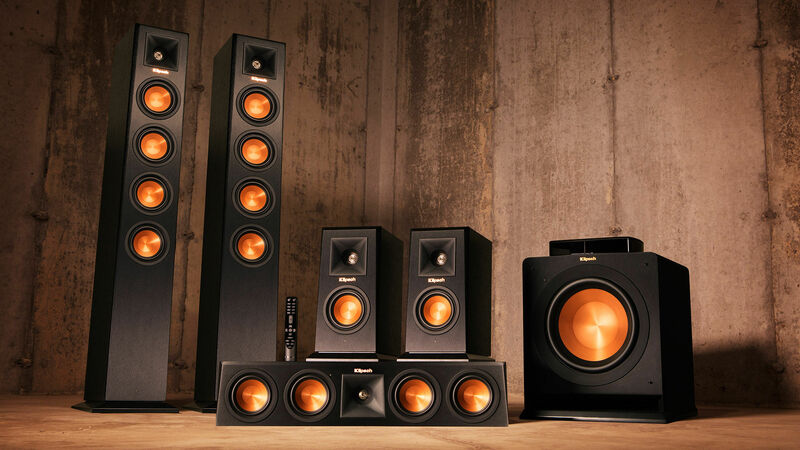 Now amazing Klipsch sound can be anywhere in your home – driven by your favorite devices and content. You control the entire listening experience throughout your home from your smart device – utilizing our new Play-Fi -equipped sound bars, RW-1 room speaker, Heritage Wireless ‘The Three’ and with The Klipsch GATE and POWERGATE™, your existing speakers and A/V gear. Blending timeless elements of real wood veneer, tactile spun-copper controls, a wide-baffle cabinet and mid-century modern design, the new Heritage Wireless The Fifteens powered large-format floor standing speakers completely redefine the audiophile experience. Featuring 180 watts per channel built-in custom amplification with a 192kHz / 24-bit DAC, 15” woofers and 1 3/4” horn-loaded tweeters – The Fifteens deliver auditory ecstasy. 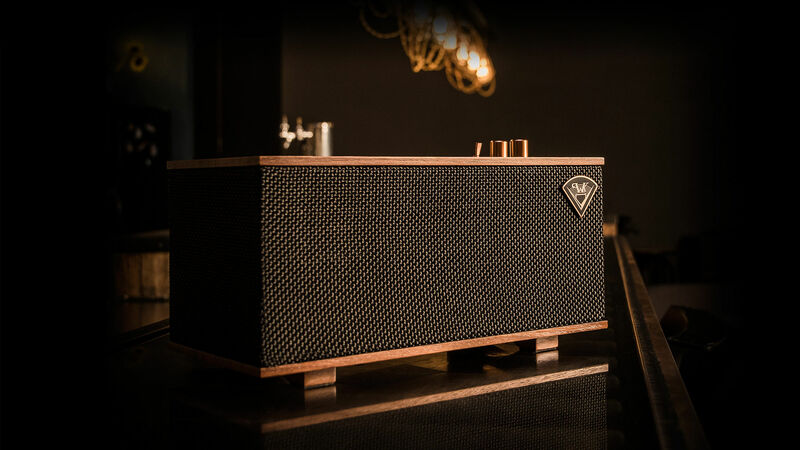 Including a built-in phono pre-amp, plus optical digital, USB Audio, RCA and Bluetooth® inputs– you can enjoy the purity of sound from virtually any source without the hassle of a complicated setup. 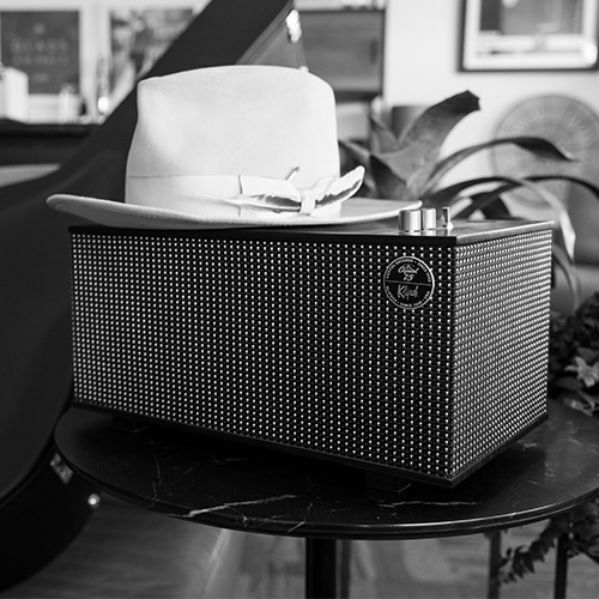 Klipsch and Capitol Records, two iconic voices both celebrating over seven decades of bringing sound to life, have created a timeless speaker series as a tribute to the integral role music plays in shaping our lives. 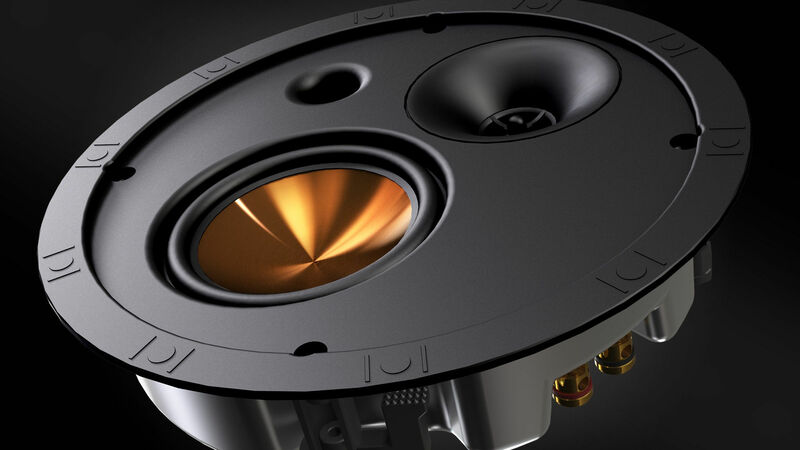 Some of the most compact in-ceiling speakers on the market, the SLM-5400-C and SLM-3400-C feature an ultra-slim (50mm) depth with a fully enclosed back box and legendary KLIPSCH acoustic performance. The thin fire-rated metal back box provides exceptional sound isolation and low frequency response. 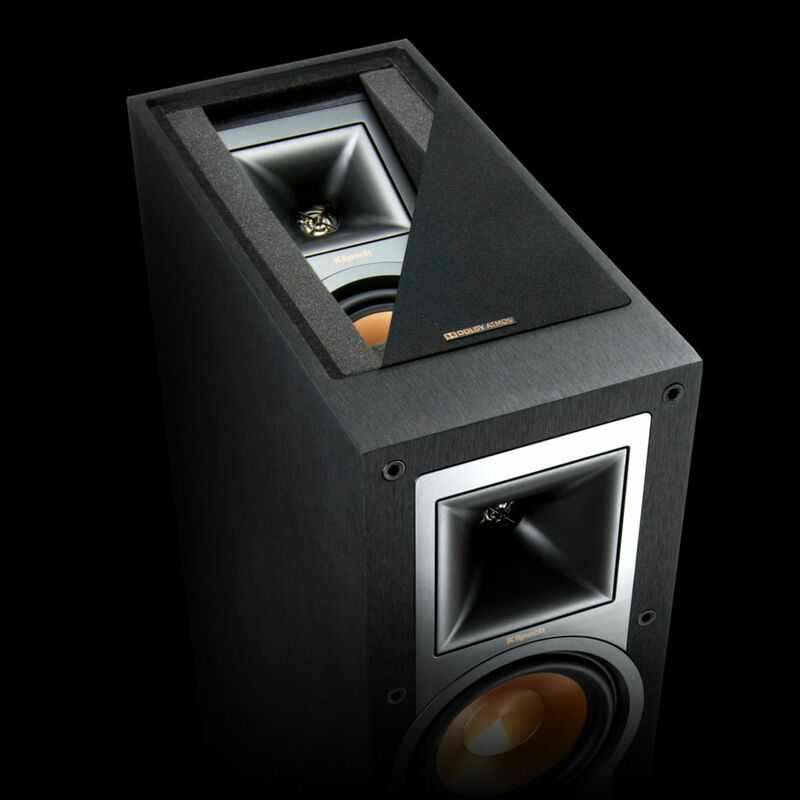 The Klipsch Professional Series Reference Premiere speakers combine the aesthetics of an architectural speaker with the pure performance of the Reference Premiere series. 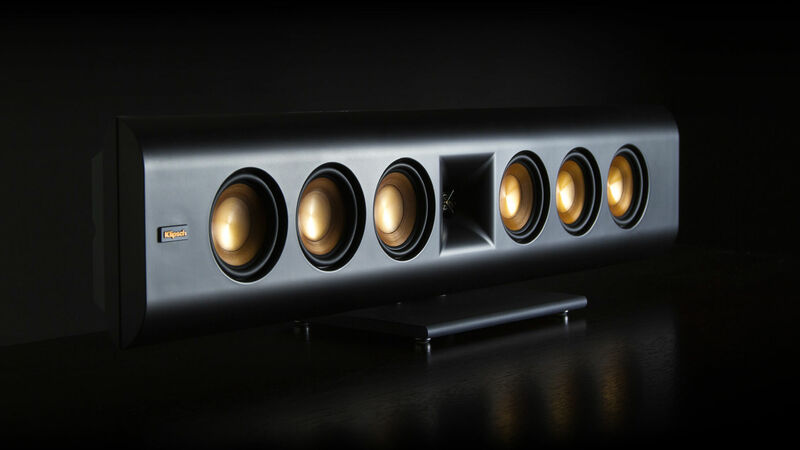 With Cerametallic™ woofers and titanium dome tweeters mated to composite coated round Tractrix® horns, you can now bring dynamic, powerful, detailed Reference Premiere sound to your distributed audio or home theater system. 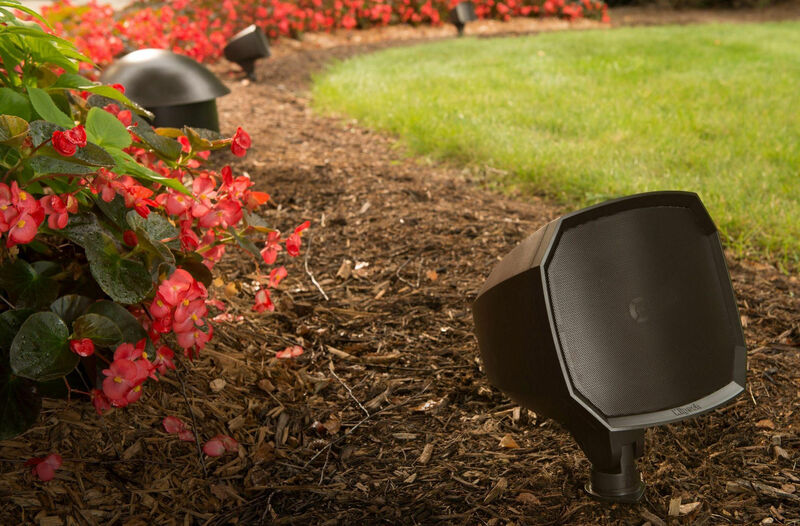 The new Klipsch Professional Series Landscape Speakers are a horn-loaded, all-weather, durable, low-distortion, high-efficiency system – designed from the ground up with 70 years of high-performance audio experience by one of the most legendary and reliable audio companies in the world. 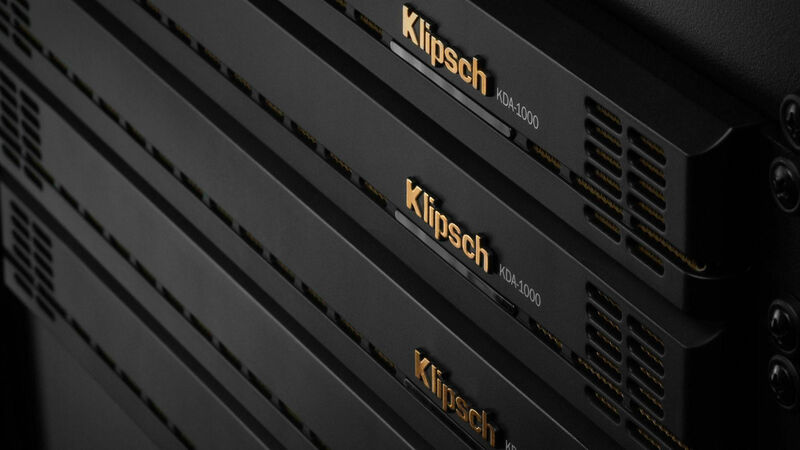 The Klipsch KDA Series Amplifiers offer class G/H power and performance in a sleek, high-tech, 1 rack unit solution for any type of install and offer low impedance and 70V/100V compatibility for distributed line applications. These impedance settings are fully independent from channel to channel — so an installer can run one channel low impedance with another channel 70V/100V for full customization and optimization of their system. 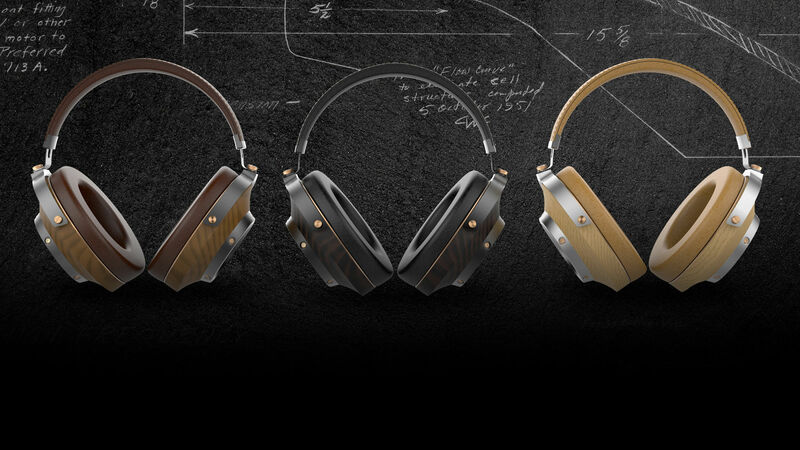 Klipsch Heritage Headphones embody the craft-built, handmade qualities of our premium loudspeakers, delivering incredible performance in an artisan package. 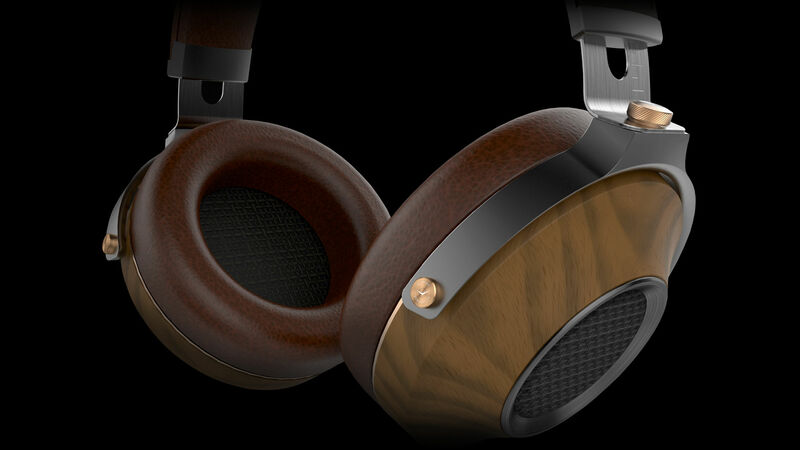 Choice woods and machined copper accents, along with supple leather details provide an elevated experience for the discerning audiophile. Fitted with biocellulose drivers, each construct uses free-edge diaphragms like a true hi-fi speaker driver, not a single thin sheet of plastic like most headphones. Delivering amazing detail and clarity at both ends of the sound spectrum, while providing an exception tactile experience, these headphones are truly worthy of the Heritage name. 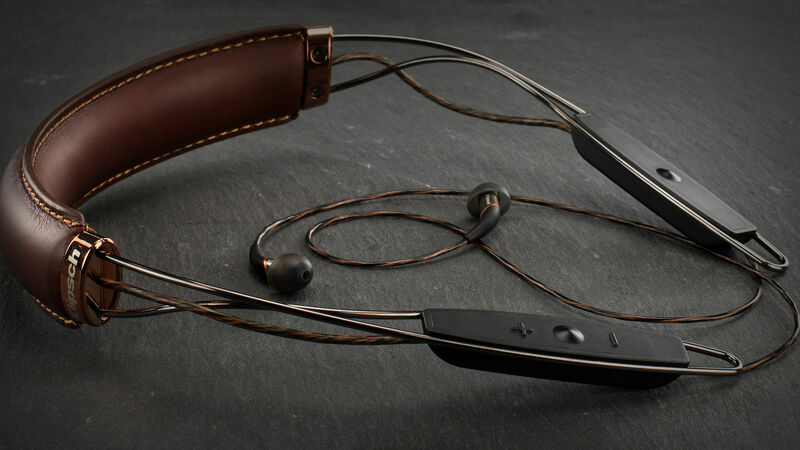 Breaking away from the plastic monotony to build something better, Klipsch designed the X12 and R6 Neckband headphones from the ground up to bring together premium hand-picked materials, beautiful accents and unsurpassed acoustic technology for a superior listening experience. With an all-day battery, call vibration alerts and carefully-selected real leather, these wireless in-ear monitors provide durability, comfort and audiophile-grade sound that’s simply incomparable. 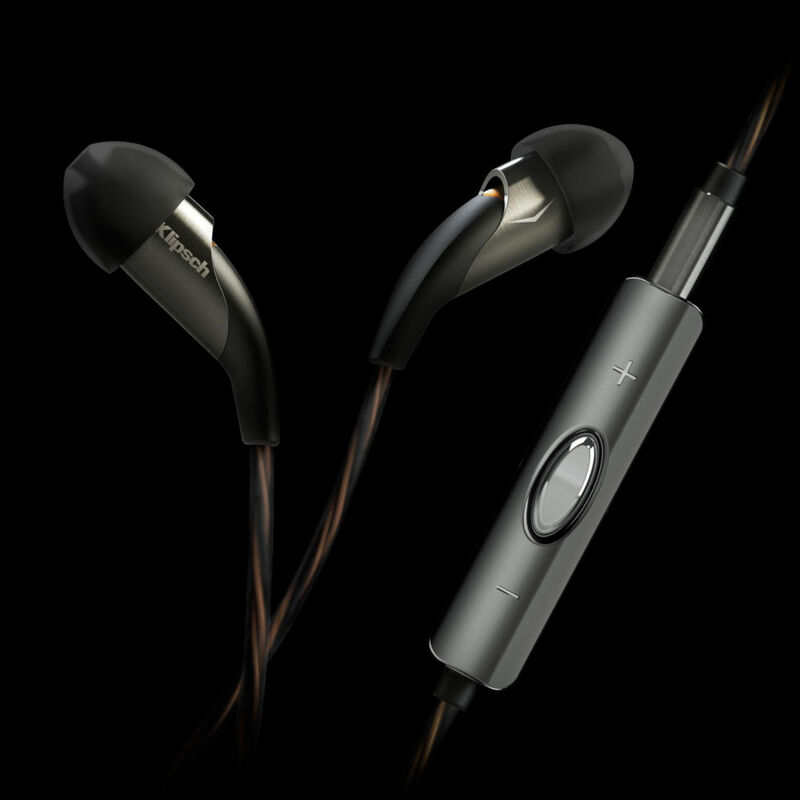 The Reference series on-ear and over-ear headphones offer unparalleled clarity, minimal design and endless comfort. Built to withstand prolonged use, these high-performance workhorses offer exceptional passive ambient noise reduction. All wireless models include a 20 hour battery and high-definition streaming so you get the sound quality of their corded brothers. 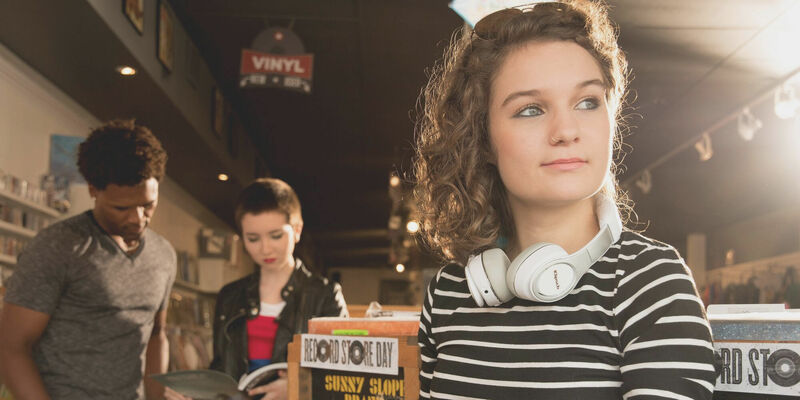 With replaceable memory foam ear cushions and cables, the new Reference series headphones are crafted for the long haul.